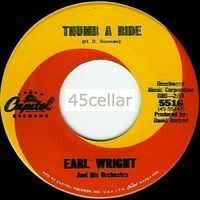 Is there copies of EARL WRIGHT-THUMB A RIDE-CAPITOL DEMO? Good Question that is Mate. I personally haven't seen one. It should exist, and I do remember someone years ago that reckoned to have seen one. Love to see a Scan if it does. Well, it could be the same occasion that drifted word of mouth to me all those years ago. I remember when I bought the U.K. DEMO, Thinking "One Day", but so far that day hasn't arrived. Never seen one, never mind the chance to purchase a copy. Then this one turned up on ebay, a couple of years ago. Certainly are a lot of unanswered questions. With some records, you just can't explain why they are so ellusive. Things do turn up now and again, a few surprises, but when we have all been looking over the years. It's no wonder that People come to their own conclusions, about the existance of these records. Trouble is, as soon as you do ..................................................... a copy turns up. I've never clapped eyes on a TAR demo either. Is the Earl Wright on Virgo 'Them love blues' the same geeza? A good slab of Northern with a strong vocal to it too. Earl Wright is HB Barnum. just posted Malc that ER is a pseudonym for HB Barnum, will double check the Cleethorpes program from last year, sure it's confirmed in there. The band played Thumb A Ride prior to him coming on stage. Ive never seen one, heard a story that the 45 was "rushed out" for the Dylan cover B side and never made Promos. Lovely story, but another Northern Soul untruth. Earl Wright, Alexander Patten, Frank Polk, Ernie Andrews, H.B. 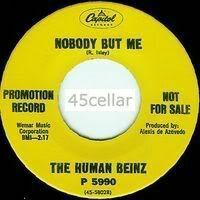 Barnum - The Record (baby I Love You) and many more titles are also not on promo.. for some reason Capitol went through a whole period in the 60s through the # 54.. / 55.. / 56.. series when Capitol did not do PROMO'S, but i don't know why. Capitol Promo's started again with series 57.. Patrice Holloway, Thelma Houston etc etc. No need to check Chalky, that's what it said. Sorry pic is fuzzy, closest to 56 series demo. Thanks for that John, I was only thinking last night that I'd never seen a demo copy of Frank Polks "Love is dangerous"! luckily i collect Capitol Issues! I used to play it.even posted it up on here some time ago..........still have it aswell. Earl Wright - "ON THE ROAD TO RUINS" - Soul Galore 2656.. It is a track called, 'Testifyin' '. It is actually Bernard Purdie and it is taken from his highly collectable (breakbeat scene) 'Soul drums' album on US Date. 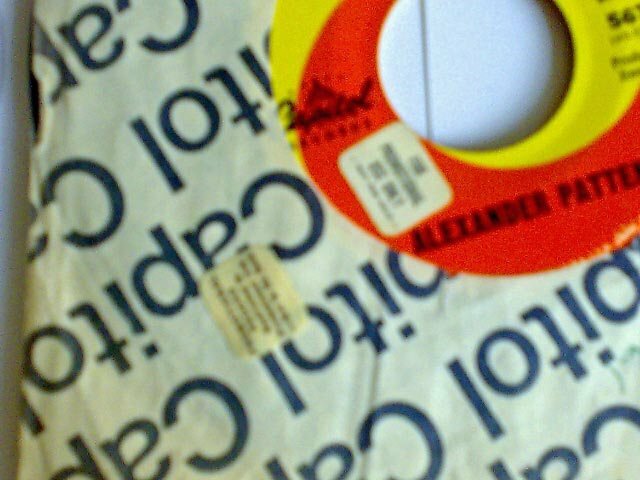 The added effects are naturally from Saxie Russell's 'Psychedelic soul'. I suspect that there is truth in both views on this. David and HB were best of friends, and this is probably a record that David and H came up with in the studio, and then came up with a pseudonym for when they decided to release it. Getting David to remember any of these one off projects is pretty impossible though, like many he find it easier to remember the big hits, than the day to day productions. Earl Wright was a DJ in LA. Rather like Sylvia Robinson did Lonnie Yougblood with TON OF DYNAMITE using Frankie Crocker. No promos exist as the record was pressed and pushed out to take advantage of the A side "Like a Rolling Stone" Bob Dylan. It bombed and no further action developed. In addition the Beatles records at the time took precedent at the plants so some tunes were not done as demos. 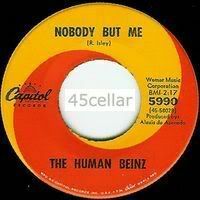 The Human Beinz is scare on demo as it was a chart hit leased from Gateway hence collectable prom for the yanks.